The rough rounds nearly claim a victim as PMI Polloi Barudion Aero “Corso” borders on losing control. Though the car manages to stay on the paths, the front right wheel has come loose. The PMI loses some time here, certainly because the lack of navigator/engineer means the Godini must do all the work himself. Surviving the dirt section more than alright, the Suzume Kaikyu San Ebi Kei suffers some overheating on the highways to Coma. Getting bounced around on the dirt and pushing the small engine to the limit on the highway, the #89 Epoch Model 10C Modifica shows incredible durability this run. Even at time of development, word got around that the KMC 800 Roadster may become a little unsettled through corners near its top speed. While, through tentative driving on the dirt that section was completed without issues, a massive spin (luckily again without hitting anything) brought the car to a halt just after a highway corner. No damage suffered, but restarting the stalled engine and regaining the lost speed has hurt the stage time of the #63 car. Ninety. Ninety kilometers an hour where the highway to Coma has its steepest downhill section. That is the Marcello Tipo 300. But the little car made it once again within the allowed time, and it did so while using the least fuel of all cars in the Corso. Right and left and right and left the CMW S946 Bergmann Special swerves on the dirt roads of the Timero valley; and as you would expect this ended in a complete loss of control, though luckily not before the driver could bleed off most of the speed. The #426 car is thrown with its rear first upon a rock, shredding the exhaust system and damaging the bumper and rear hood, but leaving the rest of the car intact – it’s just a bit louder now. Oh, my… Some spectators help the light car from the rock and it can continue towards the highway. Whether its bad luck or bad reliability for the Juggernaut Automotive Runabout isn’t clear, but the highway stretch isn’t going well. Driver and co-driver have to stop 3 times to check the engine, but they cannot appear to find the issue that is plaguing them. 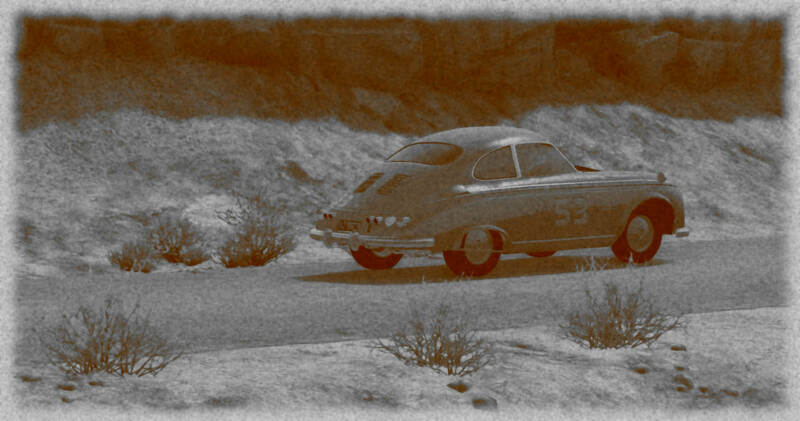 Something most likely broke loose over the dirt roads, where the Runabout did not look comfortable. I hope this is an aftermarket suspension set, because if the city car is this hard sprung, you’re better off avoiding this for your daily commute. Some nervous moments of the #54 Barato Motors 800 Sport Race but once on the open roads it can really open up the throttle and make us of all power hiding in those more than 9000 available rpms. 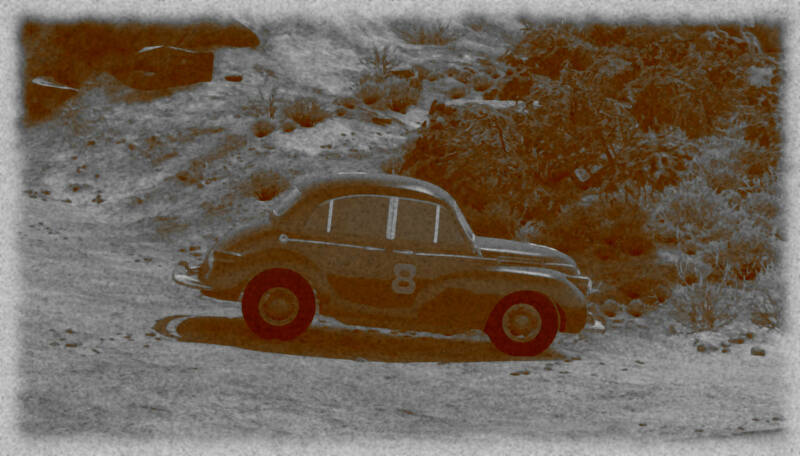 That crunch heard earlier off the Condo Sprint must have hit an oil line, as suddenly, while being bumped around on the dirt roads – the steering issues on this surface are stil very much there – the car starts smoking. A service stop and some repairs by Collins later, the little car can continue. Easy access to the engine means relatively little time has been lost. The rough roads outside of Orta are less enjoyable for the Znopresk Z849 to navigate; that shaking we have already talked about makes driving difficult, and it is with much risk that the car keeps up speed on these roads. Once nearer to Coma and on the highway, the ride is smoother, but with a lack of top speed, it remains to be seen whether or not the first sector will have given the car a big enough advantage to challenge for a win here. The dirt and the bumps stay the enemy of the Aeros Shrew (which might be seen as quite ironic considering the burrowing nature of the namesake animal). The bumps lift the front end of the #46 car of the ground and the car goes straight into an embankment and some rocks. The radiator and wheels look damaged and for a moment, the engine refused to return to life. But in time, the car, now crabbing and overheating, can continue, atmosphere inside again gone frigid. A service stop for Martino and Rizzo in the modified Giusseppe G220 as that adapted motorcycle engine keeps showing signs for giving up any moment now. The road from Fienna went smooth though, without any issues. Some issues after Orta though as the #789 car understeers into a bush a the front right wheels clips a rock, damaging steering slightly. The LSV Mark RS is yet again proving to be an extremely drivable car. Fast and stable through, the corners, even on the rocky decent along the valley of the Timero. 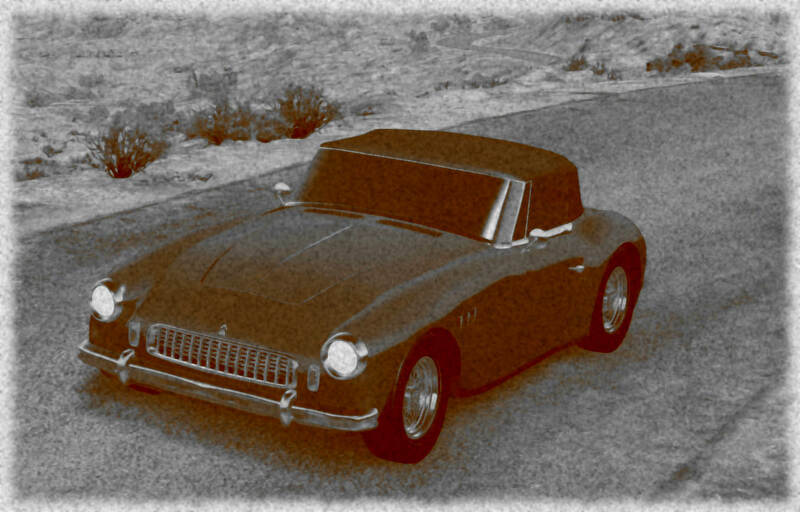 However, as was the case on the Via Fruinia, once the little race spec car reaches the highway, it struggles badly to keep up speed beyond that of a small family car. Reliability is an issues, and it’s not far outside of Orta, where the roads is rough, that the engine starts acting up. It appears to be a pushrod issue. Nevertheless, the WM RatonAereo 654 pushes forward, even if seemingly with reduced power. It is going from bad to worse with the Cisalpina Superleggera 750 as the combination of loose surfaces, high-revs and an at times snappy rear turns the car round on braking, once almost sending it off a cliff, and once sending the car over a field of rocks that it could have done without. It redeems itself on the open road and highway, but even before arrival at Como, the drivers know too much time has been lost to be challenging those with cleaner runs. Solid performance from a technical perspective, but in terms of speed the Merciel Modele 1949 Modele 49 Course '49 is lacking. The trip over the highway is a dreary, uneventful slug towards Coma, but without mishaps or breakdowns, that might just suffice. 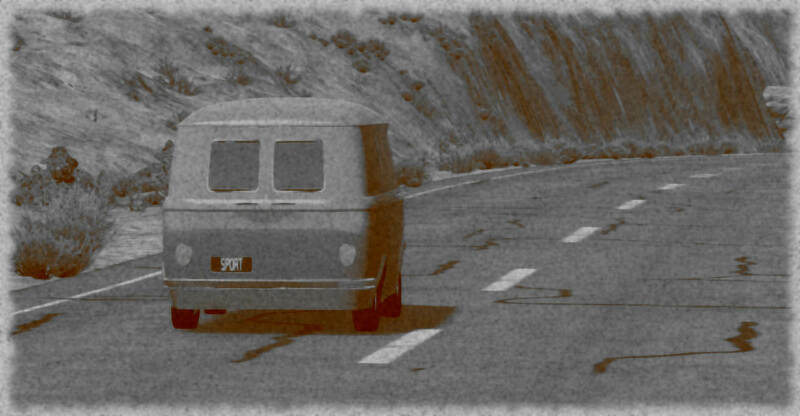 Down into the Timero valley on unpaved roads strewn with boulders, the Birmingham Snake Van Custom seems to suffer a rougher run than expected. The drivers are being shaken about and at one point even lose control of the van, though luckily without any dire consequences. The Penrose Customs 800 is attempting to continue towards Coma, but barely out of Orta, with a shredded tyre, a bent wheel and an almost complete loss of steering, it becomes clear this is impossible. Especially on these rocky roads there is no control of the car. It’s a choice between giving up or ending up upside down in the river after falling down a cliff. The gearbox remains a cause of worry and loss of time for the Ceder Abeille 760. That is a pity, as for the rest, this little family car is almost unexpectedly nippy and fast. Suzume’s little yellow coupe pulled into the paddock and stopped, letting out a great WHOOSH as it halted. Its driver, Kenji Sakamoto, hopped out and hurriedly tore off his helmet and loosened his racing jacket, flapping his hands in his face in a vain effort to cool down. He noted Hideki Akiyama standing in front of the car, giving him a quizzical look. Hideki bowed in return, dismissing the driver. He then walked to the rear and opened the engine compartment. Immediately he was hit with a blast of hot air, causing him to stumble backward. This is not a good sign, he sighed. In the early morning hours, Hideki sat down to make his notes for the Kei concept. His technicians were still reassembling the tiny car’s engine, work that would need to be completed before dawn if the little car was to have any chance of continuing on in the morning. Teardown shows signs of heat warping of the head gasket between the number two and three cylinders. Unsure at this time if this is due to a design fault or a reassembly error. Suggest increasing radiator tank capacity by at least a half liter. Suggest increasing the size of air vent ports, or adding new ones. Hideki yawned before trading his pen for a box wrench. Sleep would have to wait for tomorrow, when the cars were on the course. What was a good start for the #743 HTA Emperor MGF ended up in tragedy. Coming round a corner with a bit too much speed, the car hit the gravel on the side of the road with the rear wheels. 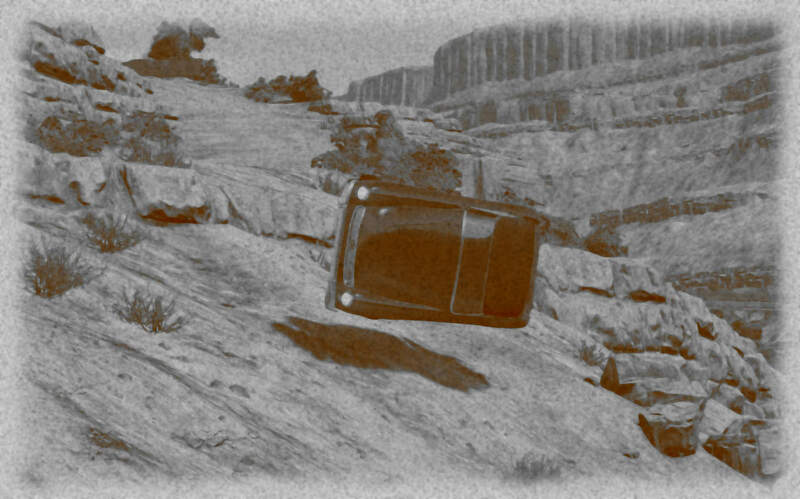 Unable to correct enough, the car disappeared over the edge of a 50 meter cliff face; luckily not straight down. The rear of the car also took the heaviest impacts, leaving the passenger space intact. The car is totalled though and the driver and co-driver are on their way to the Orta hospital with what we hear are various head, neck and back injuries. After being extensively briefed by a stern-looking East-Toramanian official, Lahm and Huth can start up their #8 TMW Frieden RW and start this second stage. The old car has not suffered any technical failures until just out of Orta, when left front brake suddenly locks up, spinning the car round. The Barricada 1350MM Superaerodinamica is bent on revenge after not finishing within the allotted time on the first stage. 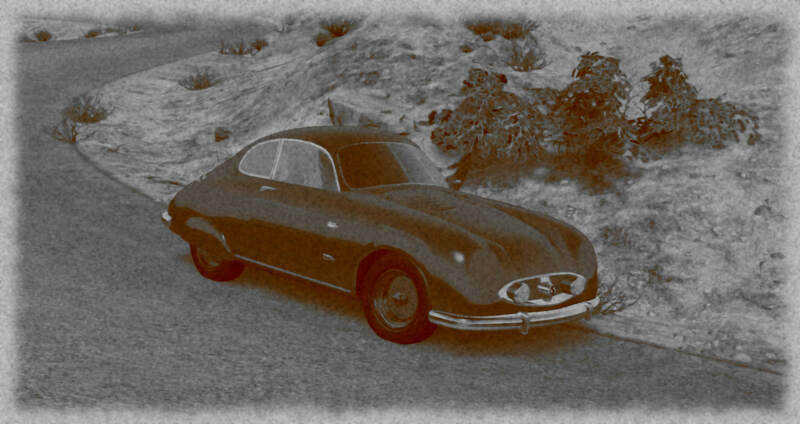 Getting a good time here is a matter of honour for the pre-war prototype from Barricada. Although the initial start is good, technical issues and instability on hard braking get the car in trouble near Orta. Luckily neither the engine suddenly stalling nor a spin on braking hard towards a sudden downhill hairpin cause any real damage. The car can continue in both cases after a short while. Second stage for the prototype delivery van from Japan, the Suzume Shiso Hyu. As was already noticeable the first stage, the little technological marvel seems to have excellent handling and balanced braking. It can stand getting thrown rather aggressively into corners and brake hard before then without risking the loss of control. The fact that the van is not carrying any cargo might play a role here of course. A small technical stop to fix some unknown issues was in order at Orta though. Tons of technical issues even still in Fienna for the Epoch Model 10-2A Race; the high-strung tune is playing havoc on the suspension and on the engine itself. Almost a full hour is lost tweaking before even setting out towards Orta. Once on route, the #94 car at least looks more home on the flowing paved roads outside Fienna than the on the gravel roads outside of San Martino. A bit more time still is lost though when a hidden rock on the side of the road is hit, though luckily not damaging the wheels or steering. We’ve heard stories about that first night in Fienna of Kocken and Steunebrink. If we’d copy them here, you’d have trouble believing the number 26 FABEL Etoile 1400 Super is standing here with two seemingly focussed occupants on the start line. The road to Orta went smoothly enough as well, but once there it appeared Steunebrink actually went missing for a while. This is a story we heard from the beer-brewing monks of the Monasterio di San Bernardo, but which we could not confirm. We can however see, that some time must have been lost somewhere. The Siamese BAF Romulus impressed with its handling during the trip from San Martino to Fienna. They continue doing so leaving Fienna, very close to Orta a burst tyre send the car into the a wall of a house off the road. The driver and co-driver are alright, but they now set to work to see what can still be salvaged off the car. The F.A.O. 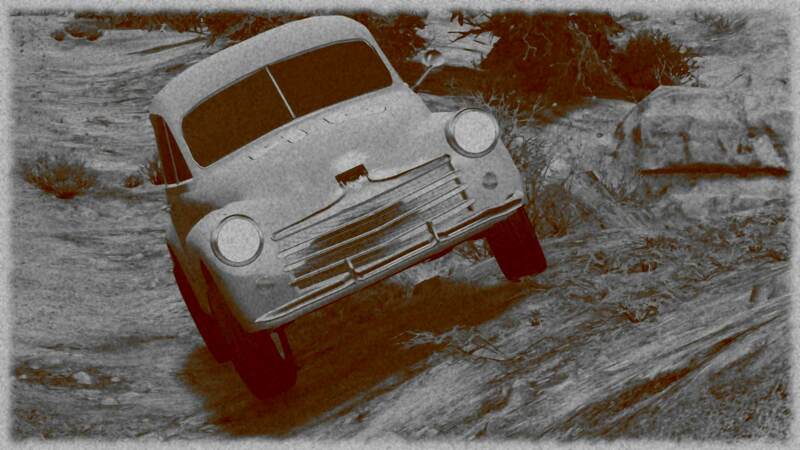 Lollypop 1100 did remarkably well on the dusty and then icy roads over the Arpeninos, but once in the hilly Fruscany countryside, there were issues with high speed cornering and heavy braking. But the scare driver and co-driver suffered near the Via Fruinia stayed with them between Fienna and Orta; composed and clean driving until the little town is reached. The engine is running far hotter than it should though, and so they stop to figure out what was wrong. It’s one of the bigger cars in size in this category, but the Juggernaut Automotive Familyman, even this untuned-straight-from-the-factory specimen is not slow. It remains to be seen how the rear-end will behave itself on the twisty roads. At least until Orta that goal seems to be reached, very smooth run so far for the the small engined big family car. Smith and Brewer in the #88 Wentworth Womble now. I think they’ll be looking forward to less uphill sections than the last stage. I’m not imagining they’ll win much time on the highway with their underpowered creation. Smiles upon departure out of Fienna though as the weaving roads going up and down in a car so small, with that little power that you can just mash the throttle and go just puts a smile on any car lover’s face. We’re getting reports that the second of the big family cars, the modified Juggernaut Familyman CS, was held up through a discussion between Bolognese and W.N. on a hitch hiking gaggle of geese (well, there was a farmer present who did the talking and wanted to get them to Orta). It is unclear whether or not the #76 car offered the ride. For an a one off car the #12 Corsa 1337 Sports is proving to be technically most reliable. Fantastic composure on the twisty roads outside of Fienna as well. Having set a competitive time in the first stage, this has to be one of the contenders for the victory if no ill luck befalls this number 12. The Bramble Bismuth Boxer-4, driving number 97. The car looks magnificent, but just outside of Fienna Chamberlain and Moore need to stop. There are serious driveline issues. I presume some gears don’t quite fit perfectly in the engine switch. This is taking some time to set right. But even with the technical issues fixed, this is a troublesome run. Trying to make up for lost time, the #97 car tries corner cutting, which is quickly stopped through the intervention of a sudden height change of the roadside after a blind corner. Luckily the car can continue. Though only to then suffer an understeer moment into a fast corner. Only at the latest moment the Chamberlain can stop the car from disappearing over the edge of a ravine. 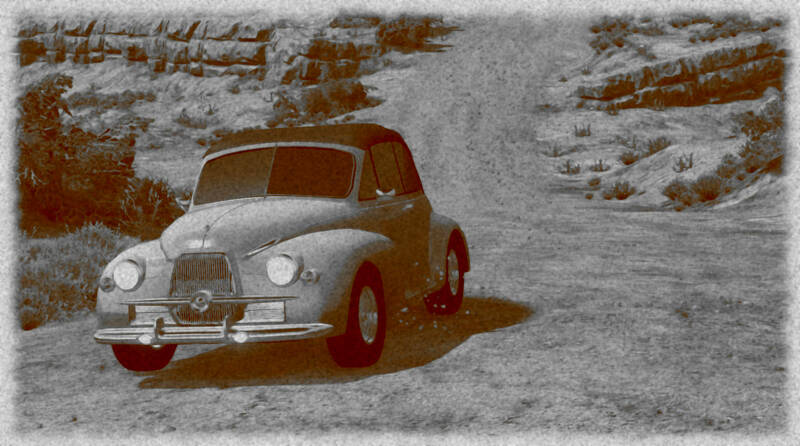 The car is now on a piece of old dirt road that no longer exists about half a metre below the actual road. It takes Moore going off to gather some spectators to help lift and pull the car back unto the road. We’ve heard statements from Erin on how the prototype was not optimized for those road surfaces, but then you ask yourself what did they expect in rural Fruinia so soon after the war. In any case, the Erin Motorsport SP-1 B has not set the worst first stage time despite being damaged, and now repaired it will try to do even better on these mostly paved roads. The Znopresk Z1452 is amazingly agile for a bulky family car and this helps on these narrow hillside roads. The language of Fruinia might be very similar to that of the driver and the co-driver, but apparently there are some fake friends, as they manage to take a wrong turn and end up taking a detour towards Orta. Delayed start for the Aeros S Van as works continued to get the front driving axle back in one piece as tearing the whole steering and drive system apart in the first leg. The #62 car makes good progress once finally started, proving to be extremely nimble when the turns get tight. Various issues for the Lutoza Prot. 01 as the #130 car deals with clutch and brake issues delaying its progress towards Orta. One of the pleasant surprises of the stage to Fienna, the LSV Mark ‘‘Nuts’n’Bolts’’ will want to go for a good run here as well. The little roadster appears to be quite twitchy when pushed on these medium speed backroads, and that’s not a comfortable thing when you are next to steep drop-offs without guardrails. The bodywork of this contraption – that turned out well enough, but is undisputably a throwing together of different parts – is shacking vigurously over the bumps. Wheelspin and a lot of noise, that’s how the WM RatonAereo 657 starts off in Fienna – not that much to the joy of the locals. The drivers are acting rather cockily, revving the engine high, cutting off corners. The car is performing extremely well, so at least some of their confidence is warranted. Hubris comes before the fall though, as not far from Orta the sports car outbrakes itself, goes off the road, and completely rips off the front drive shaft. With the front destroyed and no drive from the engine to the wheels, the Corso of the #657 car is over. The Meijer Azure was built for cruising on sweeping and twisting roads, the drivers are looking forwards to driving the course until Orta. It is part there that the lack of high end speed from the small V12 engine will hamper their progress. There is some panic as halfway there the engine turns off; fear of having to retire. But a quick check identifies nothing wrong and after a few tries the engine starts again. Oh, the looks its been getting in Fienna; not sure if the drivers even wanted to leave the city. But once on the backroads, there’s nothing to regret for the Cisalpina Tipo 50 Spyder, which moves graciously around the bends and hairpins. I’m under the impression that large three-cylidner engine was not well maintained between stages. In any case, the Eagle 112E is having issues already quite early on. The Birmingham Rumor R4 will look to confirm its capability to handle well on the backroads at speed despite the rear-mounted engine. Perhaps pressurized by reports of some exceptional split times of earlier cars, the driver pushes the car a bit too much at the beginning, which leads to some incidents outside of Fienna, the worst of which leading a punctured tyre. However, soon enough, the right rhythm is found, and the car remains impressively controllable. Issues with horrible understeer, a dose of bad luck, and harsh suspension, that was the Penrose Customs 1400 between San Martino and Fienna. Now leaving Fienna, there is hope for more, although understeer on power and that harsh suspension with those big wheels immediately make the car feel uncomfortable on these twisty roads again. 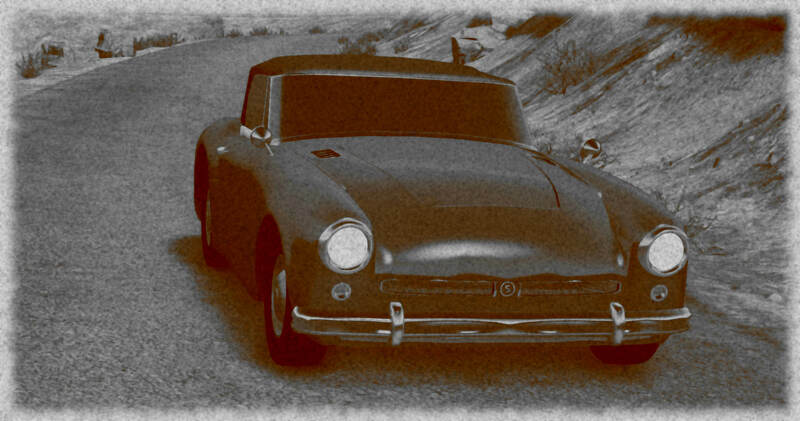 It only gets worse at higher speed, when it becomes nigh undrivable on the bumpy B-roads. It is on a high speed stretch that the #99 becomes unbalanced yet again, and the driver does not manage to correct sufficiently. The result is… disastrous. The Rennen-powered number 21 car is off to a good start. 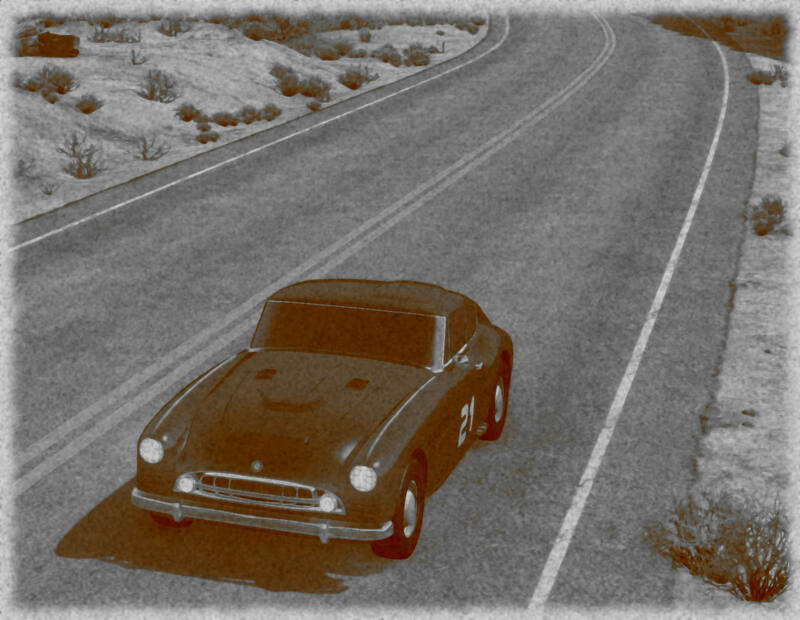 On these roads outside of Fienna the LMC Spectre RS1400 has no issues maintaining grip on the sub-optimal road surfaces. There is a short hold up near a smaller village called Ubriaciolo, for reasons unknown. Crowds have gathered around the Tannberg Gladius 1.3 R, which set the best time on the last stage, not only of this class, but of the whole Corso. 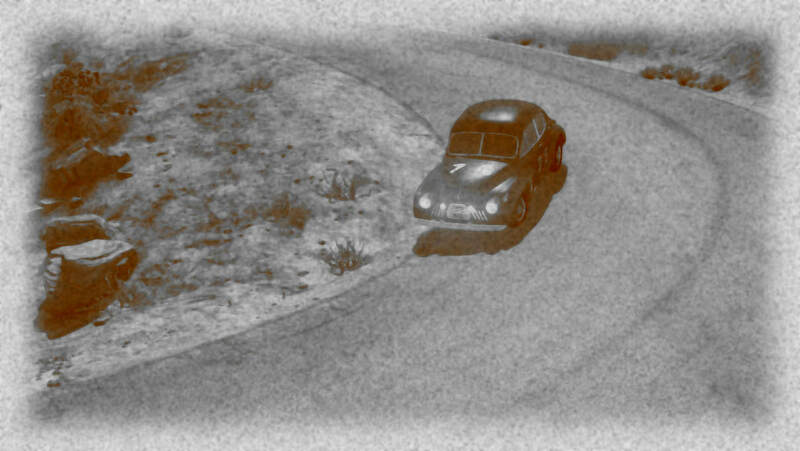 The little race car gets going quickly, but on the twisty Fruscanian roads the understeer occasionally forms an issue. It’s difficult to gauge how fast the car is globally, as the engine is incredible, but the car needs to slow down seriously for the tight corners, giving it the impression of a less smooth run. Lahm and Huth appear determined to make up for time lost repairing the front left drum that got stuck. They will have to do all the work before the Coma-highway, because there the low top speed of the TMW Frieden RW is not going to help their cause. Unstable upon the braking and not fun to drive on the dirt roads out of Orta, but once on the highway the Barricada 1350MM Superaerodinamica is allowed to explain its name, reaching exceptional speeds for a car new, let alone one built over a decade ago. Not the most comfortable high speed run over dirt roads we’ve seen, but all-in-all a good final trek towards Coma for the Suzume Shiso Hyu. The boxy shape does mean speeds reached on the highway were quite limited. 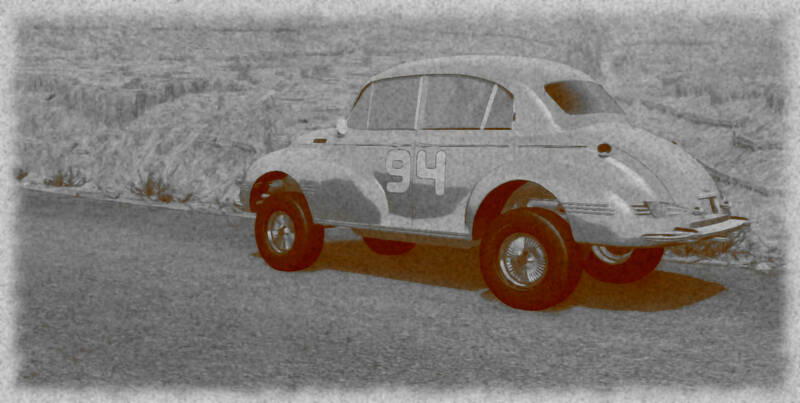 The #94 Epoch Model 10-2A Race still does not like the dirt road surfaces, it is a scary sight, but the car survives the bumpy ride. The main issue actually came turning on the highway at relatively high speed, causing the rear-end to fishtail out. Countersteer from the driver seemed to help initially initially, but the unstable car then suddenly snapped back and spun the car out, almost rolling it. After recovering from shock, though, the drivers can continue. Careful on the gravel roads and then a rather relaxing drive for the #26 car. Kocken and Steunebrink must be happy with the reliability of their FABEL Etoile 1400 Super as well. The BAF Romulus is running, but it’s damaged. Crooked steering and a damaged engine cause the car to drag itself along the dirt roads and then limp to Coma over the main roads. This was a wasted change to maybe get a podium spot, although we are not sure than the top speed performance of the Romulus would have allowed this even with the car in mint shape. Turned out a whole lot was wrong and almost falling apart in the F.A.O. Lollypop 1100, which probably spend far more time in Orta than they wanted. Although the run on the highway to Coma goes well – albeit not too overly fast this car in a straight line – some more time is lost spinning the car on the gravel roads just outside of Orta. Nothing dramatic though, and the driver was pushing the car the whole time to its very limits. Mild panic in the Juggernaut Automotive Familyman as the clutch pedal stays stuck to the floor going downhill on narrow dirt roads. Luckily the brakes of the car hold and the driver manages to keep it under control. The issue is quickly resolved by the engineer. In the steeper downhill sections before the Coma Highway Smith and Brewer in the #88 are now looking worried. Once over 60km/h the brakes show little tendency to overcome gravity. It becomes so bad that the team stops the Wentworth Womble to analyse whether or not they actually are functioning as intended. Scary moments for Bolognese and W.N. 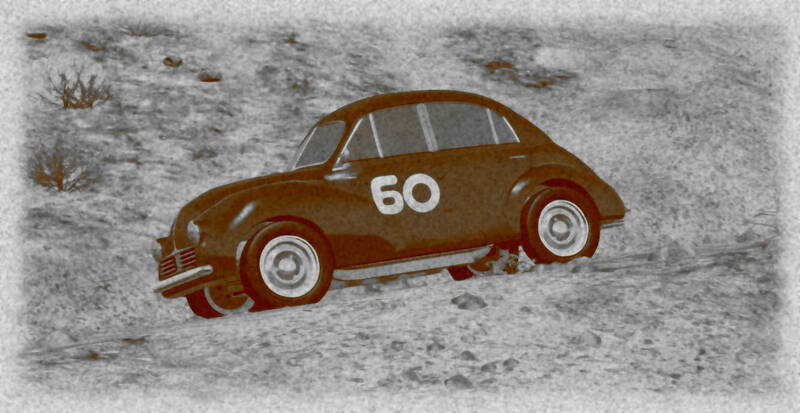 in the #76 car as they lose control of the car on a downhill section in the Timero valley. Luckily the modified Juggernaut Familyman CS manages to just find enough grip to steer away from the drop-off side of the road, and can come to a halt in some gravel and bushes on the other side. Dodgy driving on the gravel roads outside of Orta almost spell disaster for the Corsa 1337 Sport, but the driver manages to keep the little beast just under control. It is hear that the rear engine placement of the #12 becomes most apparent, but on the paved roads, however undulant and twisty, no sign of that snap oversteer that one would expect standard for that configuration. On the highway, sounds of a final gear hitting the limits of the engine. The driver needs to keep it between 150 and 160 km/h out of fear of over-revving the engine. Much better stage after Orta for the #97, although a moment of understeer almost again brings the Bramble Bismuth into trouble, but Chamberlain holds it. 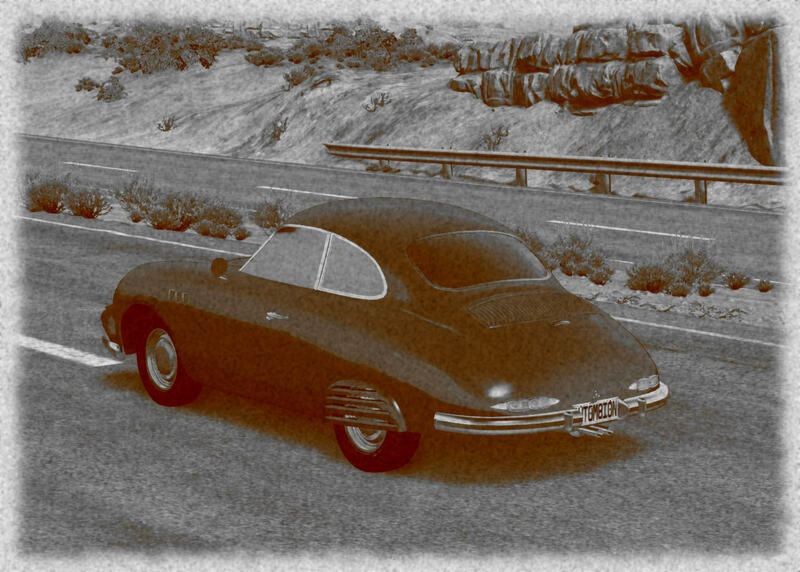 The last paved roads and highway sections are at least complete without incidents, and with a bad time, but a valid time, the car arrives in Coma. What appeared to be just a low speed tail slide from the Erin Motorsport SP-1 B turned into an uncontrolled sideways slide over the edge of the road. Despite the slow speed, the drop is sudden and relatively deep, as the Erin cartwheels into the Timero valley. Locals are first to the wreckage and stand around defeated. This looks bad for the driver, who was not really protected at all in the small roadster. Some scary moments of the Znopresk Z1452 on the dirt roads outside of Orta and along the Timero valley. The #14 car does not seem very stable on the downhill parts and there are some instances where a loss of control seems like, but they manage. The last part towards Coma is without incident and at decent speeds. Proper on the roads outside of Orta, some overheating brakes and the rather boxy limitation to gaining any speed on the highway, were the only issues the Aeros S Van had to deal with. The Lutoza Prot. 01 shows again its a competent car on difficult road surfaces, easily dealing with the rough trials out of Orta to the bigger roads and Coma-Highway. 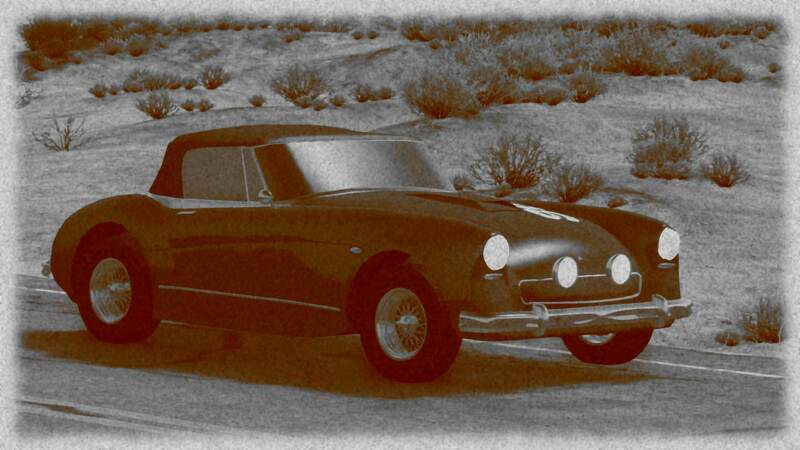 Already having had issues with the bumps, the bolts in the hood of the LSV Mark ‘‘Nuts’n’Bolts’’ come loose on the unpaved tracks past Orta, forcing the roadster to a stop and necessitating repairs before the high speed section on the open road and Coma-highway can be started. An extremely nervous run our of Orta, with a number of small stops to calm the nerves along the Timero valley. 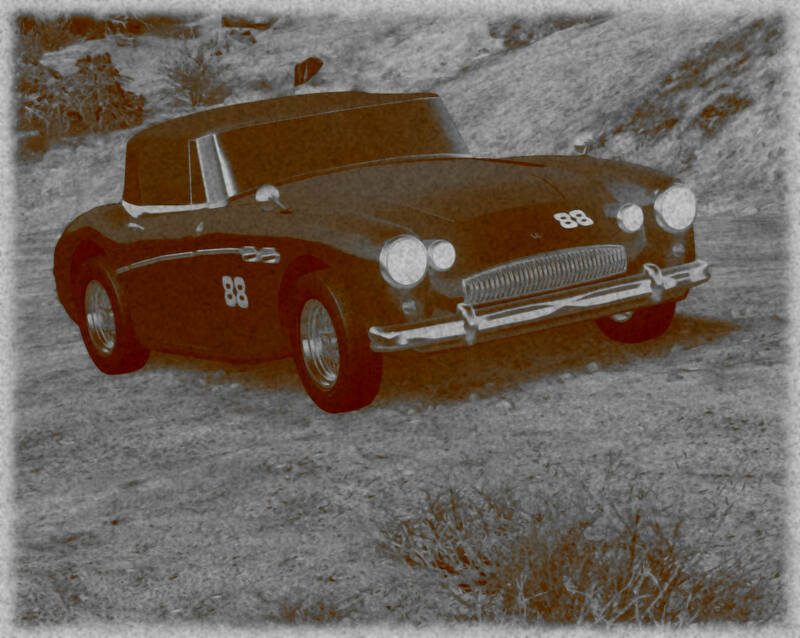 After that the open road and highway, and the nagging question while the Meijer Azure has an overdrive gear while so much more speed could have been gotten out of the small convertible had the gear ratios been more optimized. As out of San Martino, the dirt roads are harsh on the little stylish Cisalpina Tipo 50 Spyder. The roadster is having trouble dealing with the bigger bumps, up to the points, where it actually needs to stop for repairs. The open roads and highway then are much kinder to it, but the the drivers welcome arriving in Coma, where again the crowds are drawn to this dinky bright red luxury sports car. Serious understeer and suspension issues at times for the Eagle 112E. It’s so bad that the team decides on a stop in Orta to check up on the undercarriage. But the harsh roads along the Timero that follow are in no way an improvement. Things go wrong again for the Birmingham Rumor R4 on a steep descent along the Timero. 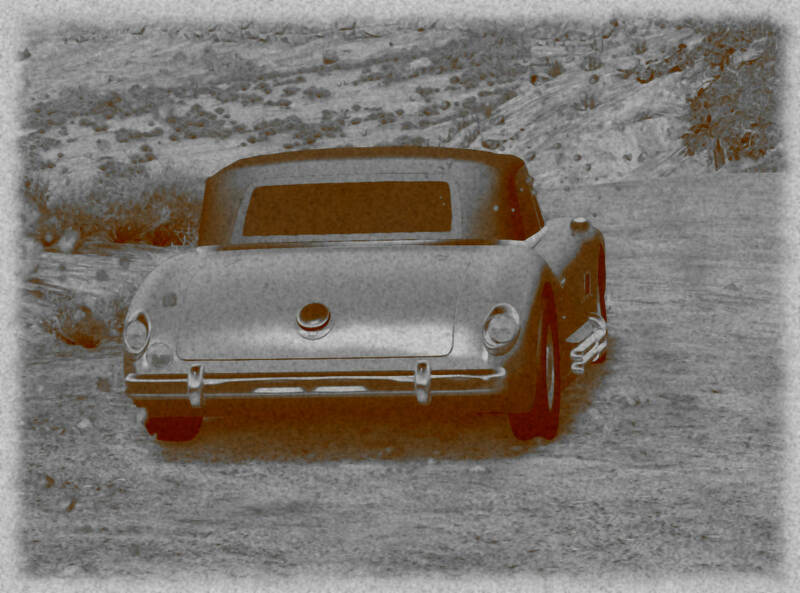 The rough and rocky surface drags the heavy rear around, and only with milimeters to spare, the driver keeps the car up on the run-off next to the road. Some nervous minutes later, paved road is reached. The drive up to Coma is neither fast nor slow. Composed run over the harsh terrain of the tracks outside of Orta, with the #21 car being careful but still making speed. The Rennen-engine of the LMC Spectre RS1400 really comes into its element on the open roads and the Coma-highway. Once over 80 mph, the car stops accelerating much, and 100 mph is only reached downhill. It therefore remains odd why LMC advertised, loudly, that the car would reach 120. Out of Orta, the Tannberg Gladius 1.3 R yet again impresses on what should be unsuited terrain for a rear-engined, rear-wheel-drive race car. 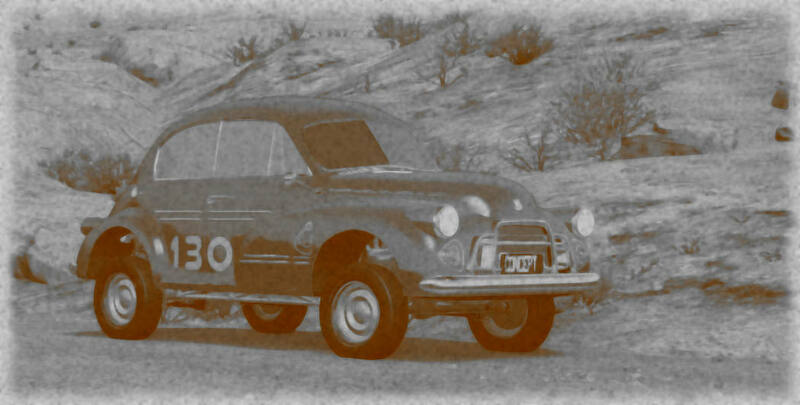 The #53 car gets on the open and paved roads quickly, and then it unleashes all available power. Speeds up to 200 km/h are reached before the car enters the outskirts of Coma. Wow, this stage really trimmed the proverbial herd. A couple of nasty crashes; the Penrose in particular had a multi-roll spill that would make Daniel Craig jealous… At least it sounded badass before the painful barrel roll passing. Are you kidding me the geese slowed me down!? Darn it, I was double right. The geese were part of a sabotage, and luck was going to screw me again in Automation racing. And for the second time in personal competition history, my car was beached whilst trying to avoid a deadly crash. Are you kidding me the geese slowed me down!? Hahaha, yes, and that was written before you made that comment. I was laughing when you initially responded on that. 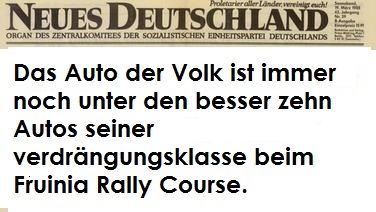 (englisch translate:The people’s car is still among the top 10 cars of its displacement class at the Fruinia Rally Course). I can’t see any of the streamables. I’ve changed them to just links. They occasionally give an error for me as well. Odd thing about the streamables though, I could see them just fine when first seeing the quoted comment… No errors whatsoever. Oh 120 real mph? Idk about advertising loudly, but that’s just the theoretical top speed. Guess I shoulda tested it before mentioning it Anyway glad to see the LMC finding its stride this stage. Hideki and his team waited in the paddock for either one of their vehicles to arrive. Due to the staggered release, he had anticipated that the Ebi Kei would be the first to arrive, by a few minutes. It caught him off guard when the white Shiso Hyu showed up instead. Its body was caked in dust and mud, but otherwise seemed none the worse for wear. After the car was parked and its driver dismissed for the evening, the Suzume engineers got to work on their post-stage teardown. As time marched on, Hideki became increasingly concerned. It had been more than an hour. The prototype Gojitsu Ni boxer engine had already been stripped down to the block, and the Ebi Kei had not yet arrived. He placed his wrench on the tool bench, wiped the grease from his hands, and began to pace nervously. Deep into the night, the Suzume team finished their teardown and rebuild of the Shiso Hyu. Much work remained to be done, as the Kei car was still in pieces, with technicians trying to track down an overheat problem with the tiny motor. Still, Hideki took a moment to wash his hands and log his journal. Consider rerouting spark plug wires and clips. Number one spark plug came loose. Design of oil drain passages may need consideration. Found that oil is not fully draining to the pan overnight, causing some smoke when fired up. Driver complained about height of clutch pedal. Bracket may need to be altered to put it closer in line with brake and accelerator pedals." With that, Hideki returned to work on their other car. The BAF Romulus is running, but it’s damaged. Crooked steering and a damaged engine cause the car to drag itself along the dirt roads and then limp to Coma over the main roads. Quite a bit unfortunate from tire puncture. Back to BAF’s maintenance tent, Lead mechanic and engineer gathered spare parts for fixing the Romumus back her glory. Changing steering rack, tie rods, suspension and tires. New spare engine and transmission, while mechanics are diagnosing and repair all damages as they can for any futher replacement. Body fixing. Despite all aluminum construction, the aluminum skin is still repairable. The driver kept apologizing to all team members but Team’s principle also BAF’s Executive Manager cheered him up, as tire puncture was unfortunate, and praised his driving skill for his action. High hopes and high expectations, dashed at the Corso di Fruinia for the Wisconsin Motors 657 team. “Glad you’re safe,” said Ray Lagerfelter, head of motorsports and development, as his driver returned to the team area in a tow truck, with a thoroughly smashed RatonAereo in tow. “Thanks, boss. Overdrove it a bit, I guess.” The WM teams had good reason for their exuberance, the cars had been developed on roads just like these. The driver hung his head as he considered his future. His car had initially seemed to be one of the most class competitive cars of the WM bunch, and it had been running well when he’d thrown it away. The team had been confident in a podium finish for this car on this particular section, but their chance was now gone. Ray shrugged. He was thinking of a way to isolate damage and quickly repair it in the desert. What if he built modular corners, little detachable subframes…. “You missed the shortcut at the hairpin.” Ray had found a way to shave some time that his drivers weren’t real enthusiastic about. The drivers all hated the idea of this “shortcut”. Ray must be crazy. The line consisted of slowing it to 1st gear around the bus stop, before you head downhill. From the left side, cut it hard right as soon as you’re past the rocks. Get the first 90 degrees of rotation while decelerating, then hit the gas and punch it off the road. Done right, you’re looking to come down that rock wall with the left front wheel down, and under light throttle. The car just slides back on to the road and off you go. Done wrong, and you’ll hear a “crunch”. The whole experience can be slightly unsettling, for a second or two you’re just blind and falling waiting for the wall to get under you. “Screw your shortcut, Ray” replied the driver, looking down into his helmet. He shuffled over to examine the car, hoping in vain that it was repairable. “The wha?” asked the driver. “Crap. Hey, I heard the Toramanian team has beer. How come we don’t have beer? We need beer. I need beer. I wonder if they’d share?” he mumbled, shuffling away exhausted and defeated. On a side note, I was in London for work a few days, driving will resume tonight. 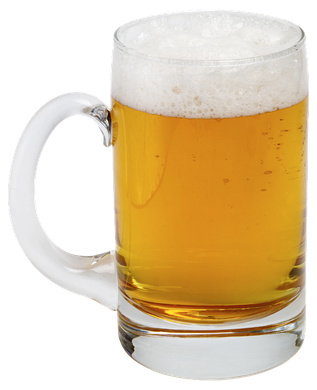 Lahm approaches, taking advantage of the distraction of the two agents of STOSI, to the exhausted colleagues and offer them beer as a sign of friendship and respect.